Chelsea are huge favorites against Newcastle, not only because they’re currently at the 3rd place on Premier League table but also because the Saturday’s match is played at Stamford Bridge. But, Newcastle are led by an experienced tactician Rafa Benitez, who’s led teams to victory at this stadium many times in the past. Can he ruin Chelsea’s plans once again? 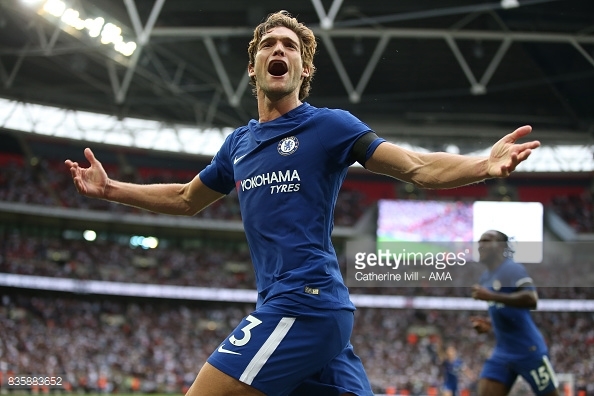 Find it out in Chelsea vs Newcastle prediction & betting tips! The year hasn’t started too well for Chelsea. First, they played 0:0 with Southampton in the Premier League, then they lost to Tottenham in the League Cup. They did win a FA Cup game in-between, but still, their form is far from being impressive. The good news is that their next opponent is Newcastle, a team that’s just not good enough to be considered a favorite in this game. Actually, they don’t seem good enough even to hope for a single point in this match. Obviously, the player quality is on the side of the London side, but what about their injury list? Although the number of injured players isn’t long, there are some players from the final third who are having problems with injuries. For instance, both of Chelsea’s central forwards, Giroud and Morata, are struggling with fitness. And considering that the Blues have been finding it hard to score lately, they might get into real trouble on Saturday if neither of these two guys play. Chelsea have scored a total of 38 goals so far in the Premier League, which is the lowest number of all the teams in the top 6. Ten of those goals were scored by Eden Hazard, who’s been Chelsea’s best player this season. But, the Belgian superstar hasn’t been in a too good form lately. The last time he scored was 5 matches ago. Maybe it’s time for his goal drought to end? Newcastle’s strongest point this season has been their defense. They’ve allowed only 12 goals on the road so far, which is pretty impressive statistic. Only 4 other Premier League games have conceded fewer goals in away matches. And considering that Chelsea haven’t been too impressive at scoring lately, you can be sure that Newcastle are going to defend with all they got on Saturday evening. They did the same the last time they played against Chelsea, but were pretty unlucky to lose the game. It was played back in August and the final score was 2:1 Chelsea, after Hazard scored from a penalty and Yedlin scored an own goal. In that match, Chelsea had the ball in their possession for more than 80% of the time, but Newcastle still managed to keep them far away from their goal. In fact, Chelsea had only 3 shots on Newcastle’s goal in that game. You can be certain that Benitez is preparing something similar for this Saturday as well. Chelsea are going to attack, Newcastle are going to defend, there’s no doubt about that. But, it won’t be easy for the Blues to score, at least not too many times. Still, I do believe that Hazard and his teammates will shine and bring Chelsea all 3 points.